. Ok, I’ll try this. Another good move from me. I could be onto a winner! 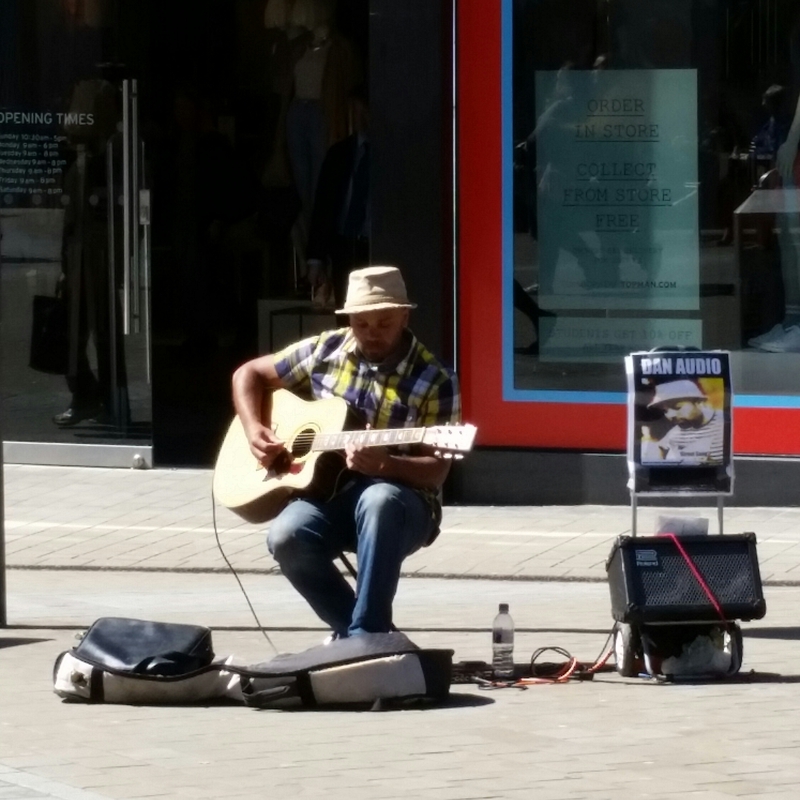 Sun, cold and live music. What more do you need? 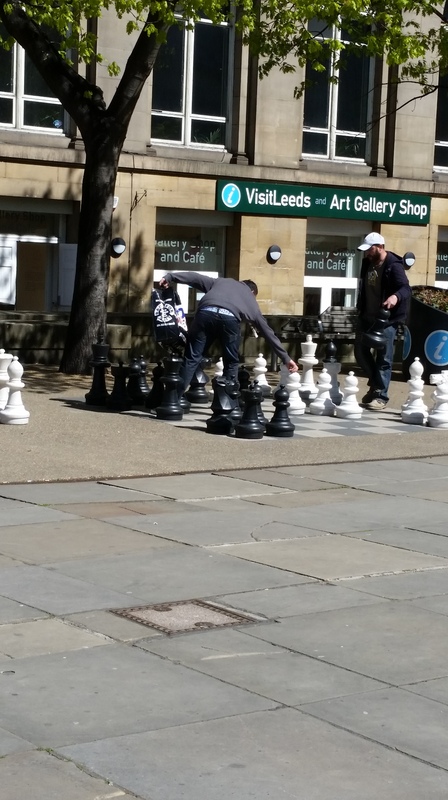 Trinity Square in Leeds has certainly seen a revamp. It looks like a mini – London shopping arcade – very smart indeed. 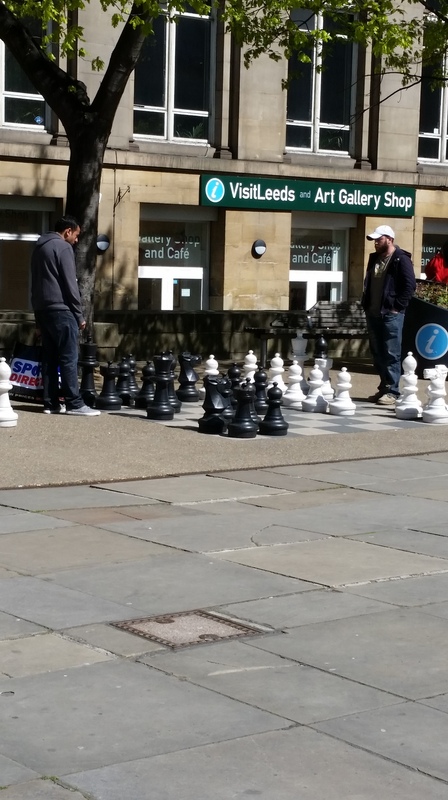 The ‘Outdoor Chess’ games have been a tradition held outside Leeds Central Library and the Art Gallery Shop. 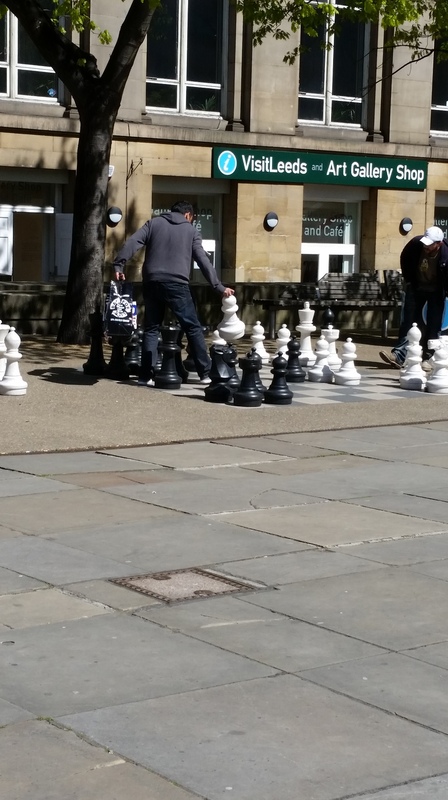 I cannot play chess but I’m always intrigued by the concentration and patience needed by competing players in order to master the game. 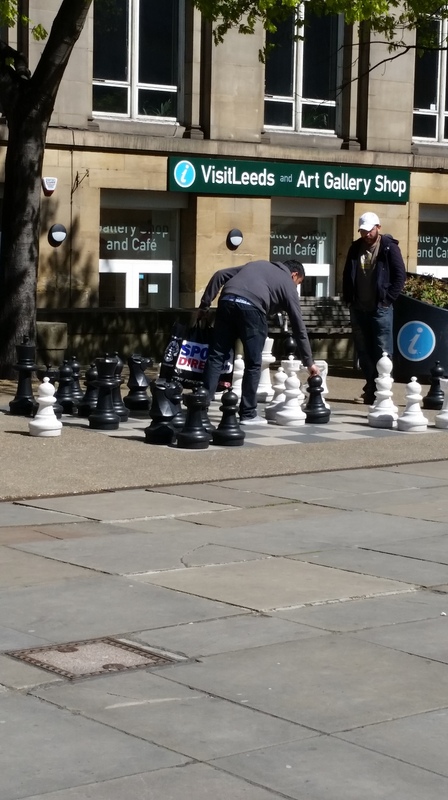 Thank you Leeds for your unique, northern hospitality. Tomorrow I head down to London.